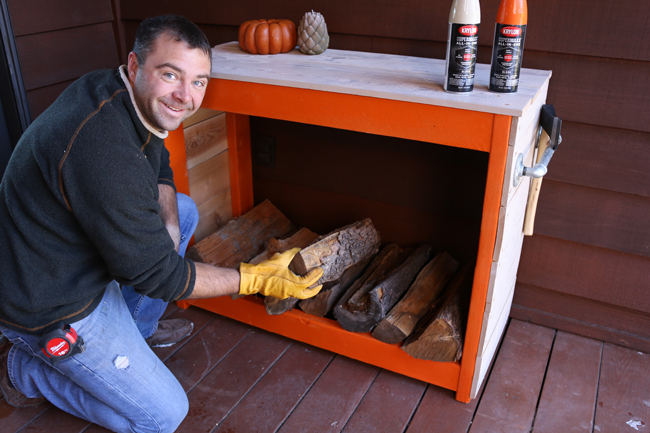 In this tutorial you will learn how to build a simple firewood storage rack out of 2×4 boards and fence pickets. This is a fun project that won’t break the bank. It can easily be completed in a weekend. I used Krylon SUPERMAXX All-In-One Spray Paint for this project. 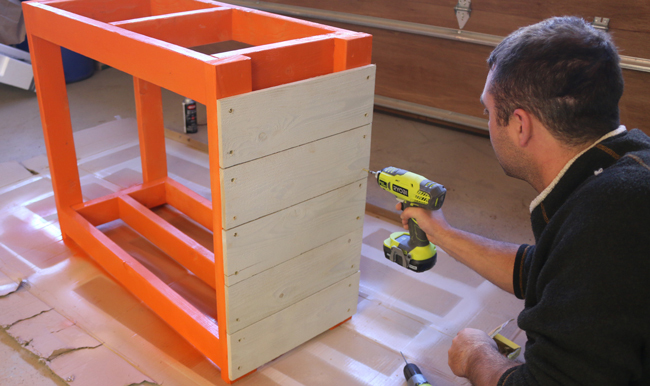 The DIY Firewood Rack plans for this project can be downloaded here (coming soon). Gather your materials to build this project. 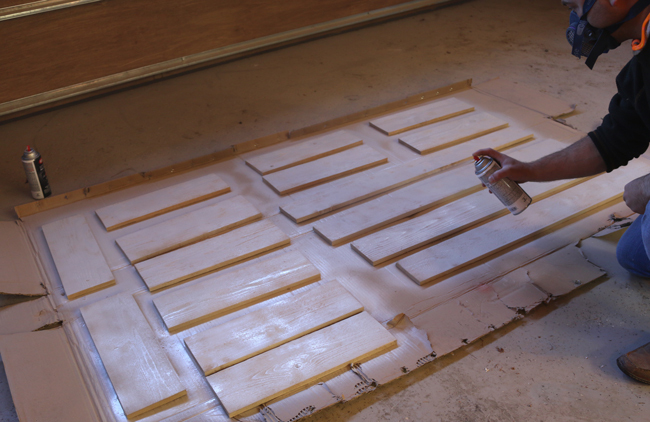 You’ll need 2×4 boards, fence pickets, wood glue, wood screws, and Krylon SUPERMAXX All-In-One Spray Paint. For your convenience, I’ve created FREE firewood rack plans for this project, which can be downloaded here! 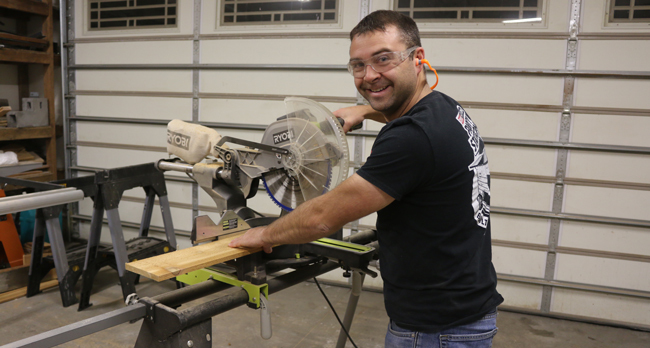 Use a miter saw or a circular saw to make the cuts for the wood according to the plans. 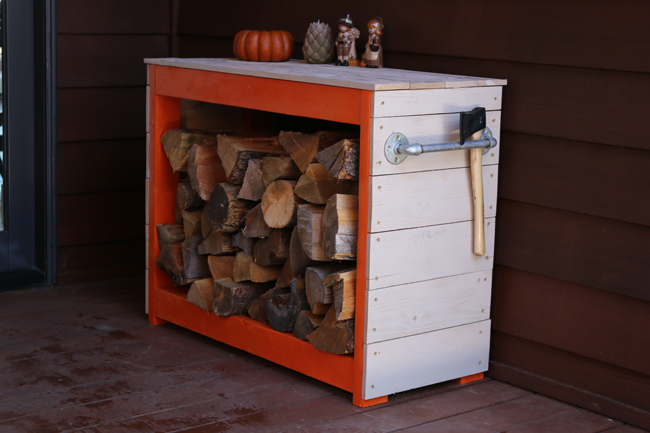 You can easily modify the size of this firewood storage rack to best fit your space. 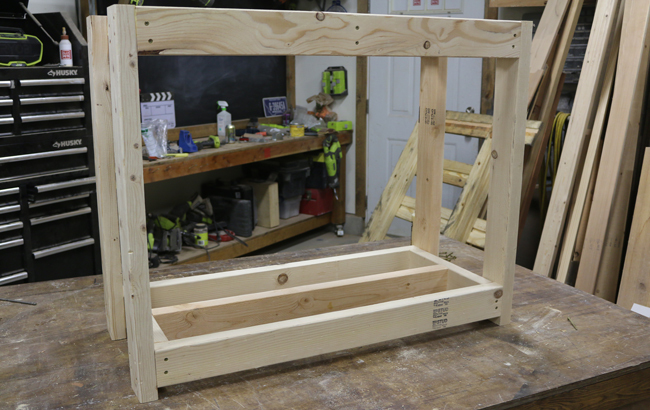 The overall dimensions for this rack are 40 1/2 inches wide by 31 5/8 inches tall by 18 inches deep. 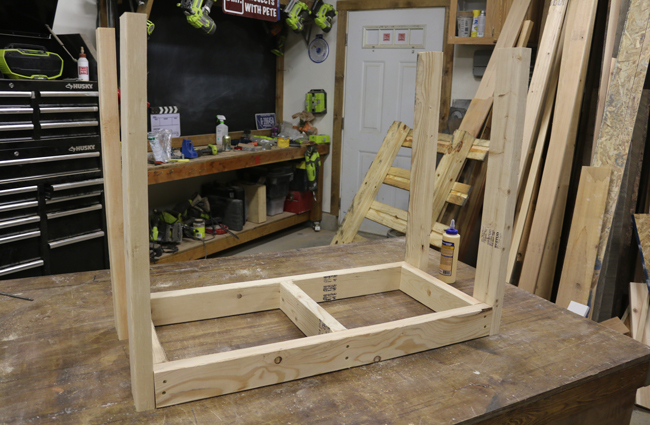 Assemble the lower frame that will hold the firewood. Use wood glue and 2 1/2 inch wood screws to connect the boards. 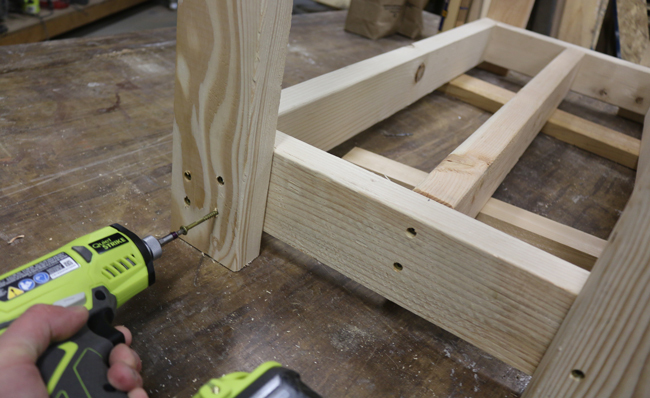 Always pre-drill pilot holes prior to inserting a screw in this project. Make the second box which will support the table top. Use wood glue and 2 screws at each location. Here is a look at how the legs will look. 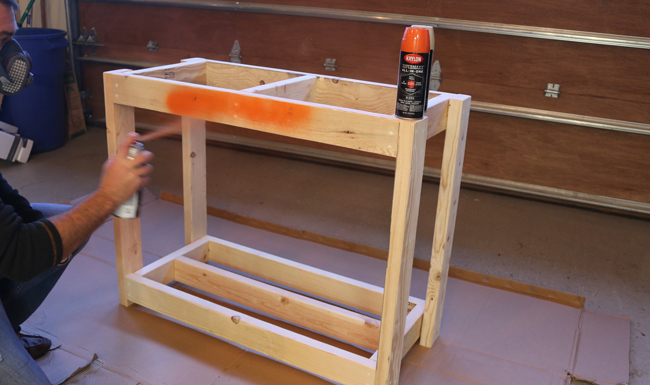 We'll start by assembling the rack upside down so the shelf and legs are all on a flat surface. 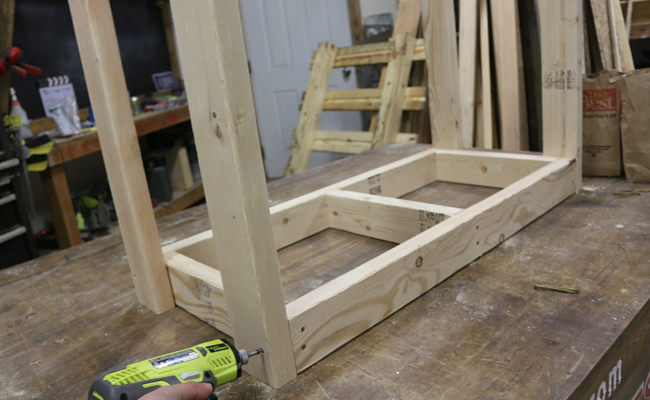 Attach the legs to the shelf frame with wood glue and four screws in each location. Once the legs are attached to the shelf go ahead and flip the entire firewood rack right side up. Now it's time to attach the lower shelf which will hold the firewood. The shelf should sit 1 inch off the ground. I used 1 inch thick spacer boards to hold the shelf in place while I attached it at each corner with four 2 1/2 inch screws. That's all there is to assembling the frame. It's super easy! 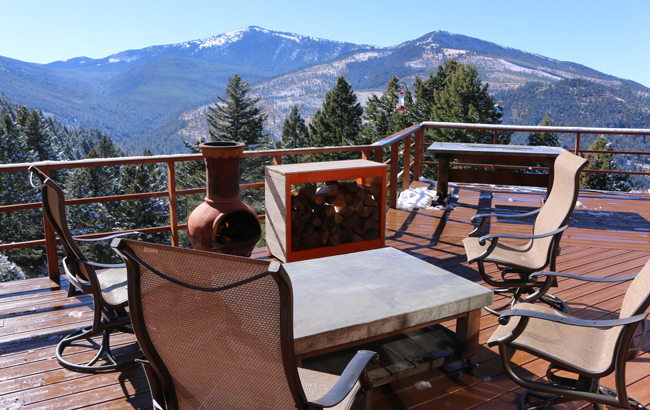 We'll make the sides and top out of cedar pickets which don't cost much and look nice. Cut 12 short pieces which will be used to cover the sides. Pickets are generally pretty rough when you buy them. Use 80 grit sandpaper and an orbital sander to smooth them out on one side. 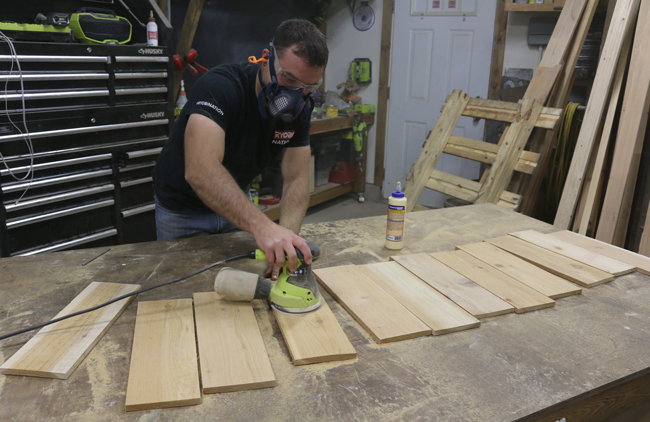 Cut four picket boards for the table top. 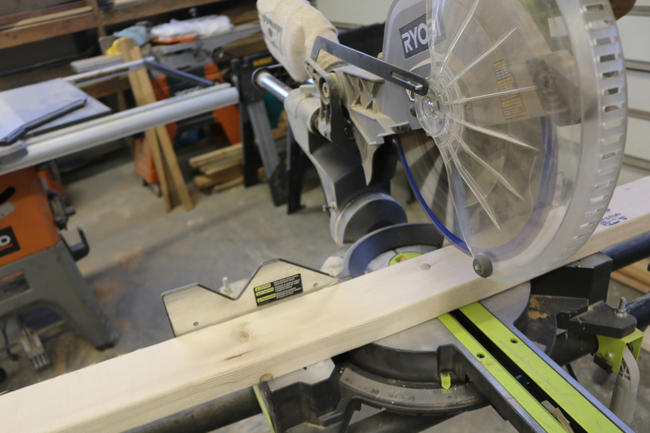 Use a table saw to rip the width down a bit on each boards so they fit the width of the top perfectly. 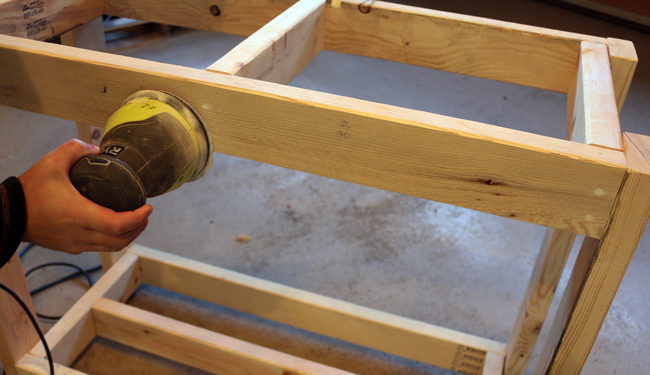 Fill in the screw holes with wood putty. Let it cure. 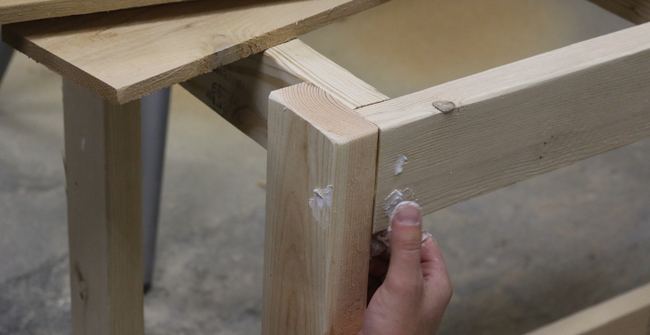 Sand the firewood storage frame to remove rough edges, smooth the boards, and remove excess wood putty. Start painting the frame. 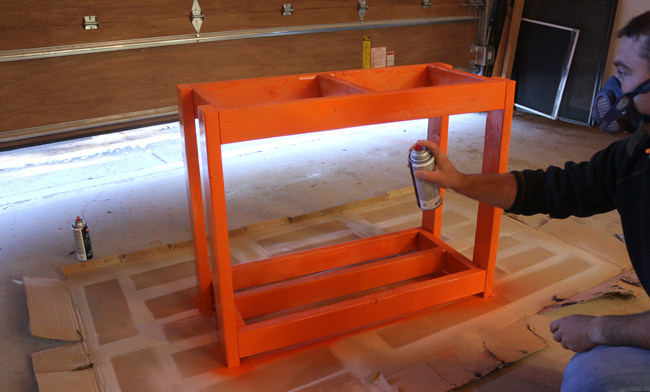 I used Krylon SUPERMAXX Spray Paint in Gloss Mandarin which is paint and primer in one. Always wear a respirator when using spray paint and be sure to read the product label for proper application and safety instructions. I decided to paint a few very light coats on the pickets using Krylon SUPERMAXX Spray Paint in Gloss Almond. 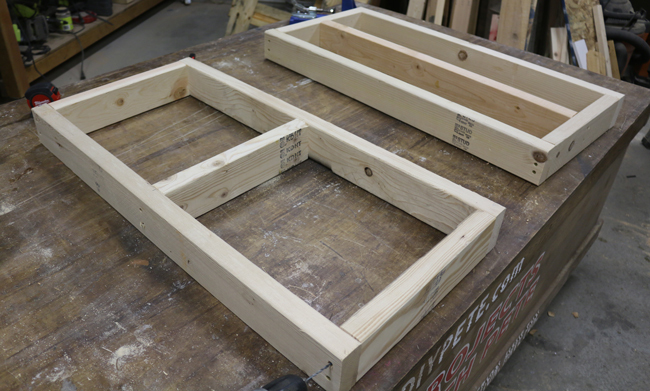 This is a look at the frame after a couple coats. You can see the color has really started to pop! 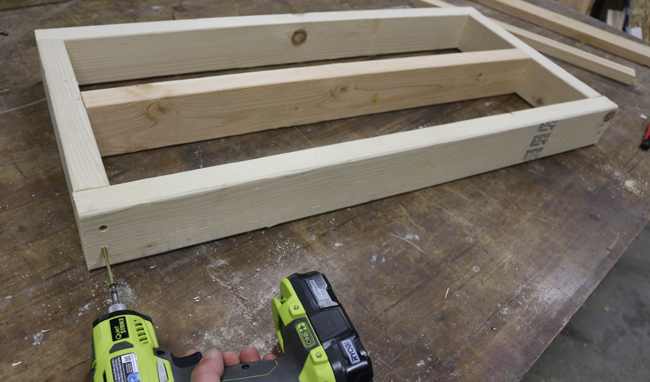 Attach the cedar pickets to the frame with 1 1/2 inch wood screws. You'll need to rip the last board down in width so it fits perfect. 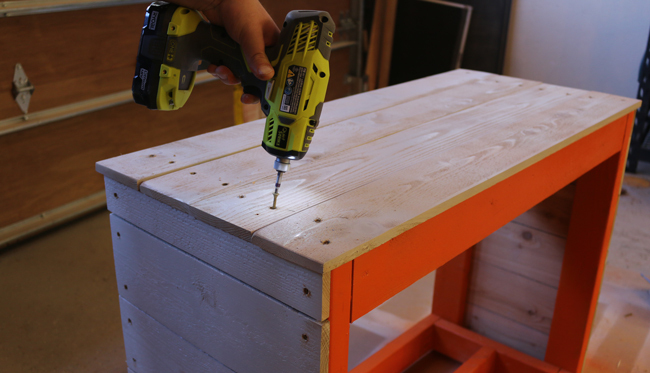 Attach the table top from the top side using 1 1/2 inch long screws. 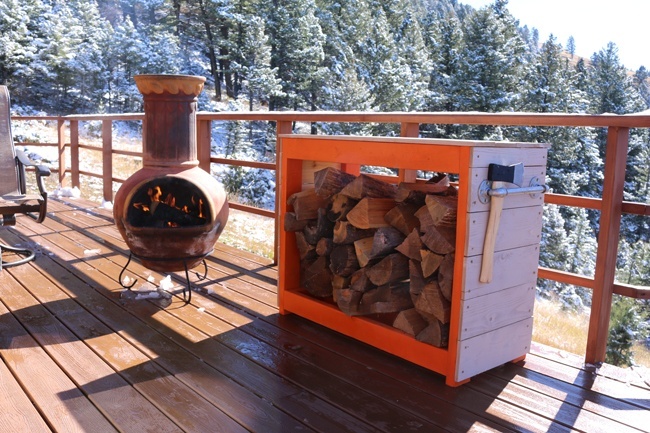 Stack some firewood in your new DIY firewood storage rack.